Amor De Cosmos, an early British Columbia politician, is the subject of an intriguing biography by Gordon Hawkins. Building on an earlier work by George Woodcock, the author has literally re-traced De Cosmos’ steps, travelling from Nova Scotia to California as well as digging in to the archives in Victoria, BC. Despite this extensive research, Hawkins is unable to fully unlock all the complexities of De Cosmos’ personality—thus the book’s title. Still, it is a portrait which helps us understand both the roots of our province and one man’s contributions. Check out the full review in BC History, Winter, 2015. Jervis Inlet, a breathtaking fjord cutting 60 kilometres deep into the Coast Mountains north of Vancouver, is the subject of a collection of histories by Ray Phillips. Conversational in writing style, the author describes interesting people who populated the area over the past century, including original homesteaders and their descendants. The reader learns of ordinary men who worked the land as loggers, fishers, miners, hunters and much later, tourist resort owners. Women ventured into these wilds too, supporting their husband’s work and raising children in isolated communities up and down the jagged coastline and on small islands. 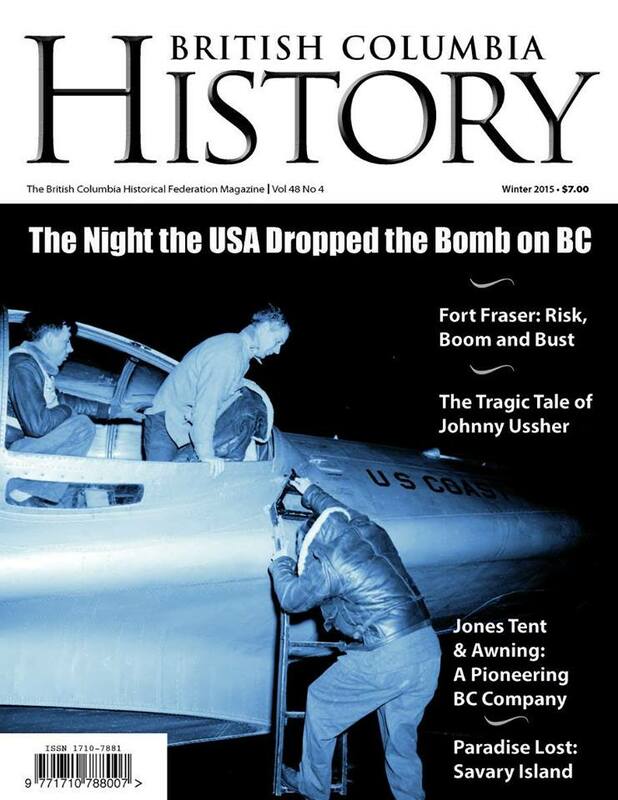 Check out the full review in BC History, winter 2015 issue.